I’ve always loved fairy tales: African fairy stories, Old Peter’s Russian tales, Grimm’s fairy tales and the western classics – Cinderella, Sleeping Beauty, Beauty and the Beast, The Goose Girl, The Frog Prince. The themes of love, sacrifice, keeping promises (the theme of the Frog prince) transformation (in The Goose Girl and Cinderella) justice (again in Cinderella) are epic to me and timeless, worthy of exploration in romances and modern stories. Cinderella, the story of selfless devotion rewarded, is a popular theme for many romance stories, with the ‘prince’ often an Italian or Arab billionaire who sweeps in to transform the heroine’s drab, oppressed life. I’m sure there are romances to be written about the ugly sisters, too – positive stories where they grow from their petty spitefulness and obsession over balls and dances into generous, complete women, who also find love. That element of the happily ever after and the unexpected is strong in both fairy tales and in romance and both appeal to me greatly. Fairy tales can also be epic, dealing with issues of life and death. Look at Gerda and her determination to win her brother out of enchantment in The Snow Queen. Look at Sleeping Beauty, where the prince rescues the princess from the ‘death’ of endless sleep. 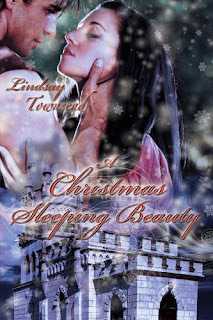 Recently I did my own ‘take’ on Sleeping Beauty in my ‘A Christmas Sleeping Beauty’. I made it a story of transformation for both my heroine, Rosie, and the prince Orlando, who starts as a very arrogant and selfish young man who needs to learn to love and cherish. I didn’t want my Rosie to be passive, simply waiting to be woken, so she is active in the story both through her dreams and through her speaking directly to the hero in a letter. I also added more urgency by making it a ticking clock story – Orlando must wake Rosie in three days or he loses his chance forever. The story of Beauty and the Beast has thrilled me since I was a child, with its dark and menacing beginning, the terrifying beast and Beauty’s courage and love for her father and ultimately for the beast. I was inspired by these basic tenets to write my own medieval version of Beauty and the Beast in my ‘The Snow Bride’. Magnus, the hero, has been hideously scarred by war and looks like a beast. He considers himself unworthy of love. Elfrida, my heroine, is also an outsider since she is a white witch, but she willingly sacrifices herself (as Beauty does in the fairy story) because of love, in her case her love for her younger sister, Christina, for whom she feels responsible. When she and Magnus encounter each other, I made it that they could not understand each other at first, to add to the mystery and dread – is Magnus as ugly in soul as in body? They must learn to trust each other, despite appearances, and come to love (just as in the original fairy tale). 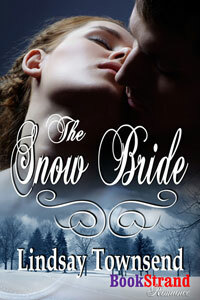 I also added other fairy tale elements to ‘The Snow Bride’: magic, darkness, the idea of three (a common motif in fairy tales) spirits in the forest and more. Perhaps in the darker elements of my forest I was inspired by that other old fairy story – Red Riding Hood. How about you? What inspires you in your reading or writing?